Eva is a Visionary Painter/Environmentalist. Her love of animals, the Earth and the Divine Creator is a constant theme in her paintings. She spent time in both the Atlantic and Pacific Oceans swimming with Dolphins, Sea Turtles and observing Whales. Her Spiritual Quest and travels to Ancient and Sacred sites world-wide have been instrumental in transforming her work to its current form of expression. Eva’s intent is that her art work serve the Highest Good of the viewer. Her paintings can be used as a meditative journeying tool for accessing one’s own portal to higher dimensions. A portion of her sales are donated to support environmental, animal and humanitarian causes. Eva M. Sakmar-Sullivan has been a professional artist her entire life. Her spiritual quest and travels to ancient and sacred places worldwide have been instrumental in transforming her work to its current form of expression. Eva’s mission is that her artwork serve as inspirational tools to joyously facilitate personal and planetary healing, transformation and love. 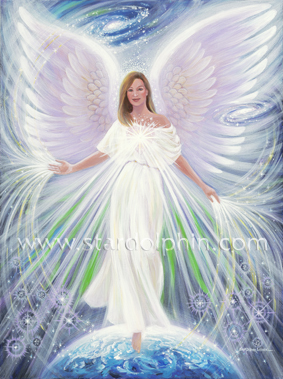 Subjects of her artwork include angels, dolphins, mystic creatures, fairies, goddesses, priestesses and lightworkers. Shop cheap LouisVuitton handbags, cheap Gucci bags and cheap nike shoe collectionss for Men, Women & Kids. The largest selection of Authentic Gucci store online,chanel outlet store, Puma Store and Nike Outlet Stores. Newest cheap Louis Vuitton handbags, cheap Air Jordans shoes and discount louis vuitton bag with discount price. 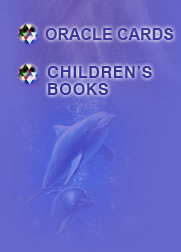 ALSO: Celebration of Love Oracle Cards will inspire your sixth sense to guide you, using the energy associated with images on 60 beautifully illustrated oracle cards. All content and images Copyright 2011 DREAMS OF STARDOLPHIN. All rights reserved. OF EVA M. SAKMAR-SULLIVAN IS UNLAWFUL.